Hi friends, today I have 2 projects to share with you!! First up, a layout for Lily Bee Design. I've been Guest Designing for Lily Bee this month, and have such a great time playing with their fab papers! With my photo as a starting point, I cut the various oval shapes out of the brown paper to resemble the stone path in the picture, then used the blue chevron stripe paper layered behind it to mimic the water. I added a few layers behind the photo and the strip of red floral paper to bring out the red in my daughters pants and just to look cute ;) Since this is about feeding the ducks, I also added the red feather that I found at my local craft store. A quick and easy layout, but a great memory recorded! I also have this fun project for Pretty Little Studio! I focused on the lettering style, and came up with this cute little piece of home decor for a friend that just had her first baby. 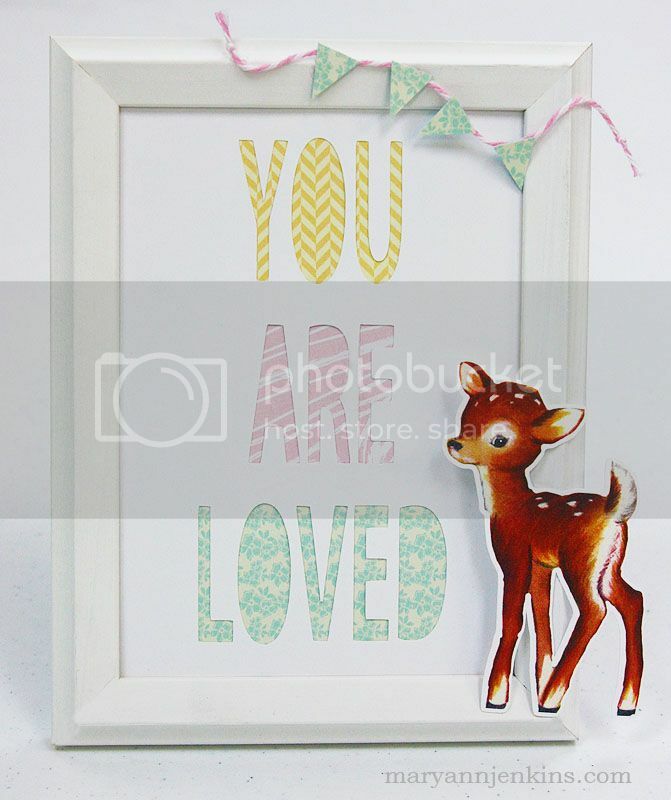 Don't you just love that sweet little deer!! They are so cute and adorable. Very fun. Your cut stones are such an adorable accent. Mary Ann, that might just be my favorite new layout!! 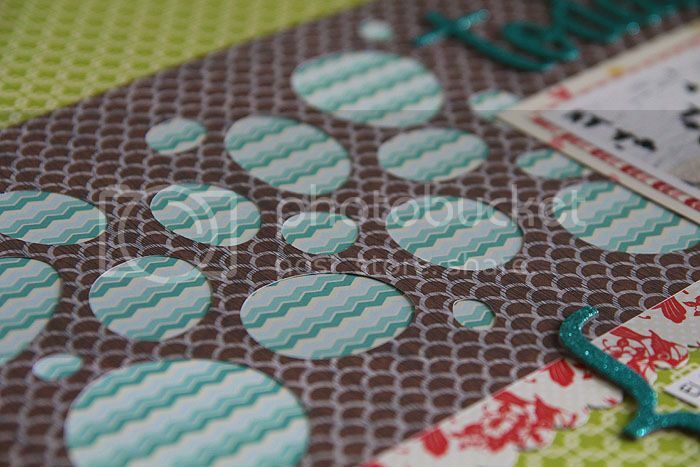 LOVE that oval pattern you cut, and the little bits of Blue peeking through the Brown! And your off the page project is totally adorable!